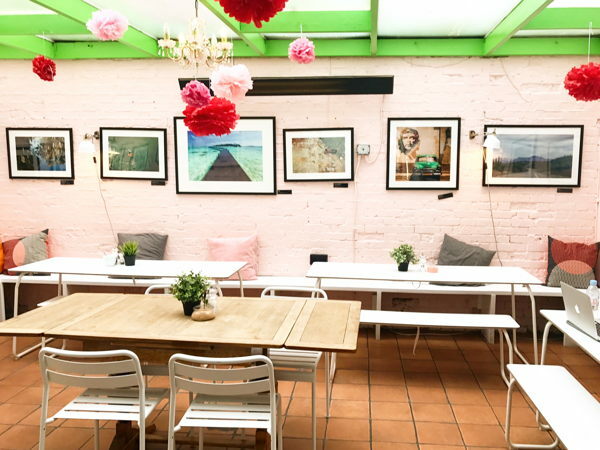 A cafe situated in Belsize Park, Oliver's Village Cafe, offers a Garden Room to rent for business and social events. Our garden room seats 30 guests or 50 standing. 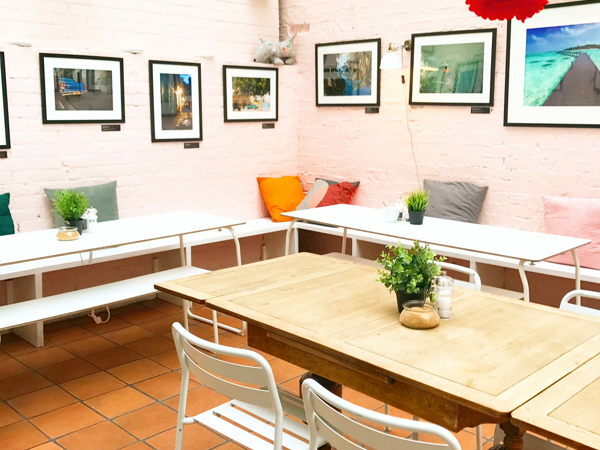 We're able to remove all tables and chairs to leave a bright and open space for you to personalise as you need. The translucent roof allows delicate light through during the day, but sets an intimate atmosphere later in the evening, coupled with warming wall lamps and a chandelier. Cushions are scattered along the 3 walls of the garden room on small discreet benches to allow comfy seating without interfering with the main space. - Supper-clubs, you'll have full access to the kitchen area, with a license to sell both beer and wine. - First time and established artists looking for a space to host art shows/exhibitions. 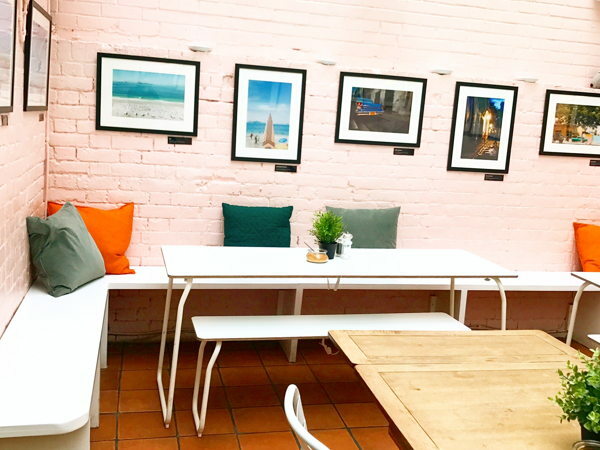 - If you're looking for a space to hang your art work, we offer artists the opportunity to hang their work for 2 months exclusively, details can be discussed via enquiries. - Musicians have used the area as a stage to play intimate gigs. - Business networking events: hosting business meetings/partnerships inclusive of refreshments and food set at a price per head. 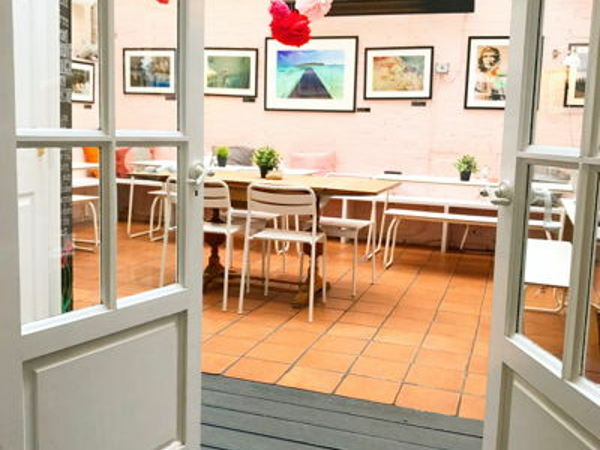 Need a venue to cater for business lunches? or for family and social get togethers we can cater for this too. We'll be able to come up with a menu fit for any occasion at a competitive price you'll struggle to find elsewhere.